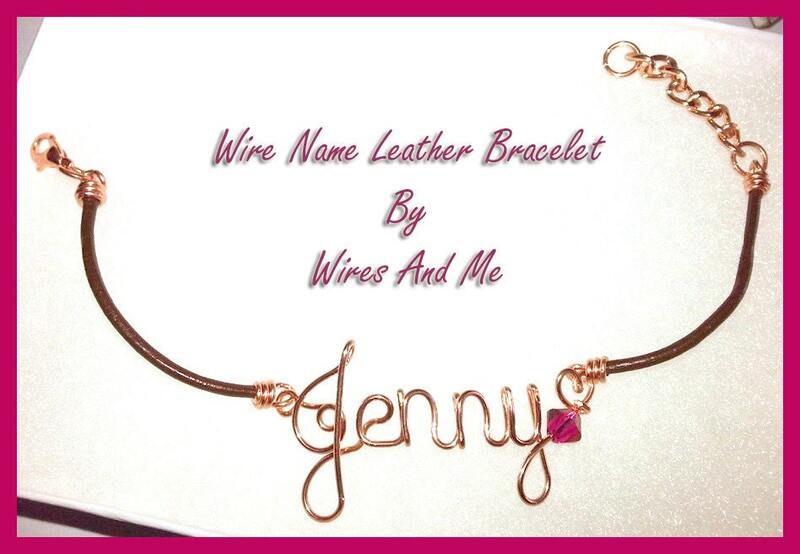 Handcrafted Wire Name Leather Bracelet and can be accented FREE with Swarovski Crystal Birthstone. 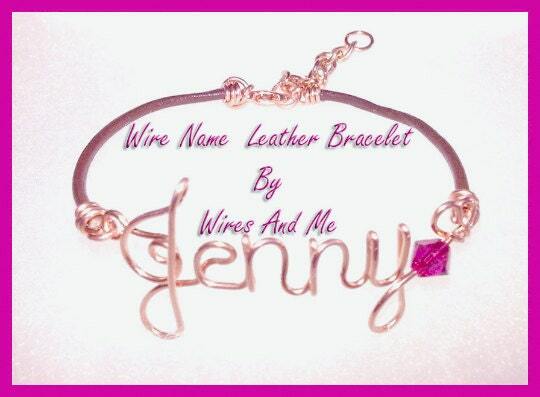 This bracelet is made at a standard 7" with 1 inch extension. You may request a custom size upon checkout. You may choose from black, brown , natural or rose color for the leather band. 3. Enter the EXACT NAME you Require and the color of the leather band (refer to chart above). NOTE: This bracelet is made at a standard size of 7 inches. Convo me if you require a longer or shorter length upon check out. NOTE: If it is for very YOUNG kid or you are very SPECIFIC with BRACELET or BANGLE size please follow instructions below on How To Determine Bracelet/Bangle Size. 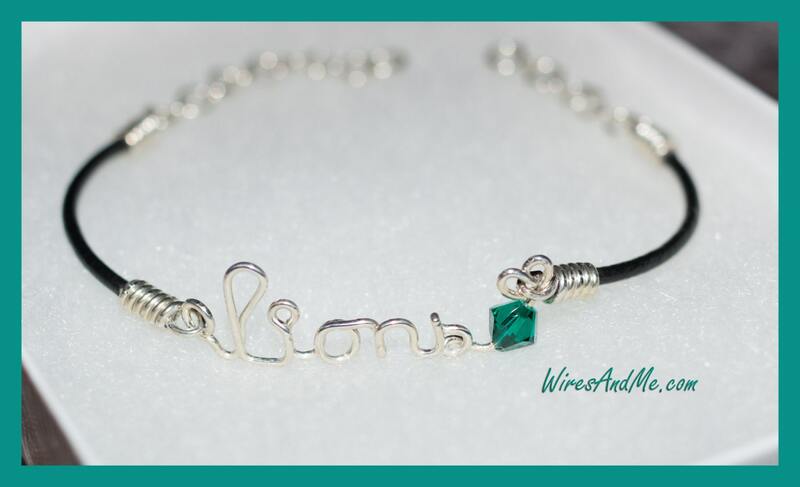 The simple instructions in this how-to help you accurately size the bracelets you design and can help your customers determine the bracelet size they need when purchasing a finished bracelet. Refer to the information below for basic guidelines to men's, women's and children's bracelet sizes. Please note these are approximate measurements. If you need an exact measurement, you can follow the instructions below to find your correct size. *Anklets usually include a 1"-2" extension. STEP 1: Measure the customer's wrist below the wrist bone (where you would normally wear your bracelet) using a bracelet gauge, a flexible measuring tape or a strip of paper. a loose fit, add 1-1/4". STEP 1: Ask your customer to close her fingers together, bringing her thumb and little finger together (as though putting on a bangle). STEP 2: Using a strip of paper or tape measure, measure around the closed hand at the widest point, pulling the tape snug against the skin. If you are using a plain strip of paper, mark the paper with a pen, then measure the strip with a ruler. This is the circumference of your hand. STEP 3: Find the hand circumference on the table below. Create (or choose) a bangle with a diameter at least 1/4" larger than the diameter shown below. 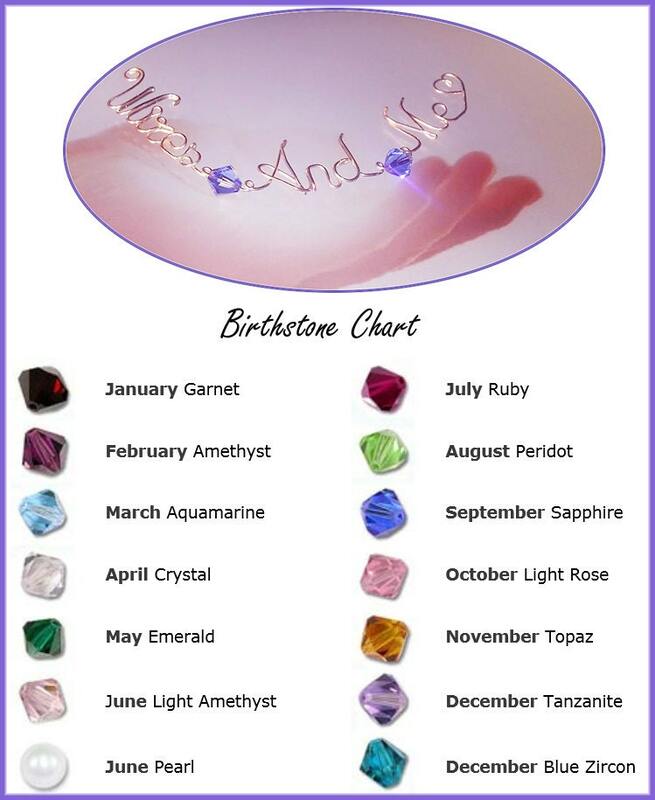 You may see, or want to offer, bracelets with a specific size (rather than small, medium, large, as shown above). If so, you can simply convert the numeric size into a wrist circumference by subtracting 0.5 from the bracelet size. For example, a size 6.75 bracelet is a wrist circumference of 6.25" (6-1/4"); a size 7.25 bracelet is a 6.75" (6-3/4") wrist circumference.